Hello and welcome to another Patterned Paper Play series post! 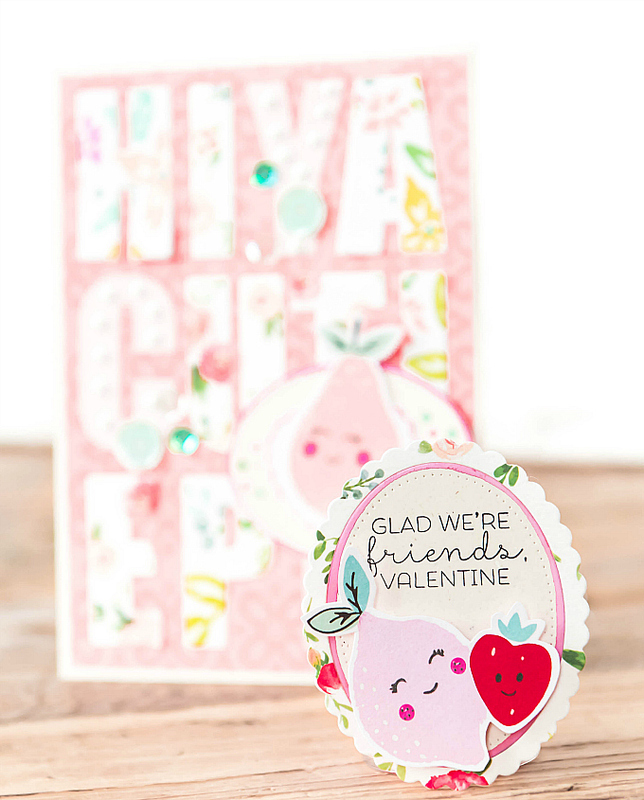 I have two cuties (one quite literally) to share with you today, full of Valentine cheer and luscious colors! First up is a sweet little tag I made in literally under two minutes! If you, or your kiddos, are in need of some quick Valentine's, this lil design might just be the thing. The most challenging part of this design is the fussy-cut fruit buddies, but since they are on the larger size, they were not that difficult to cut at all. 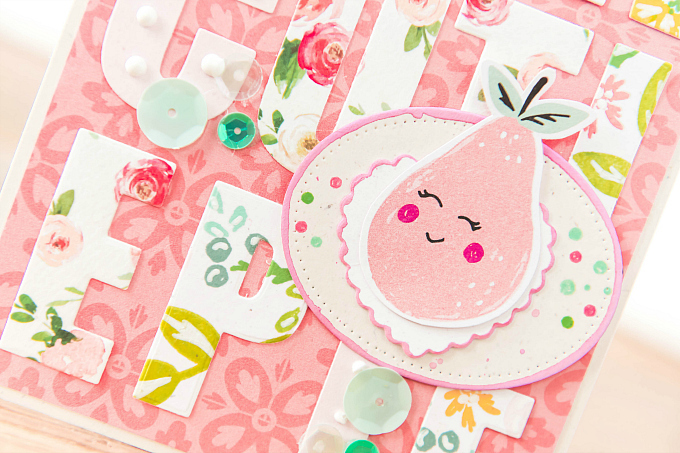 The two ovals are quick die-cuts - one from a patterned floral, and the other from a rustic beige cardstock. The beige bit got a quick swipe of paint along the edges, and was finished off with a pretty sentiment. 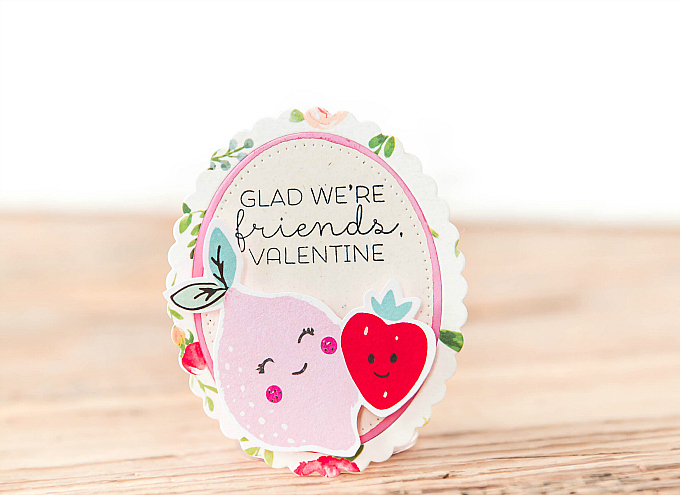 The sentiment stamp on this tag is from a value stamp from a Valentine's feature bin - and I just LOVE it. Notice how CRISP it is?! 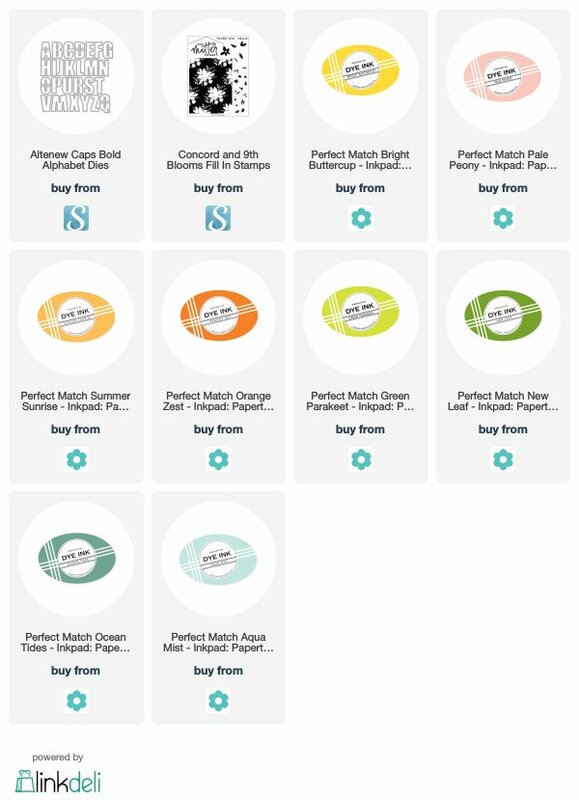 There is a trick to getting your value stamps to perform like more expensive photopolymer stamps, but it's super easy - just requires a few different supplies and techniques. I'll be sharing a post soon on how to get the most out of your value stamps! Next up, is a card that's a bit more involved. 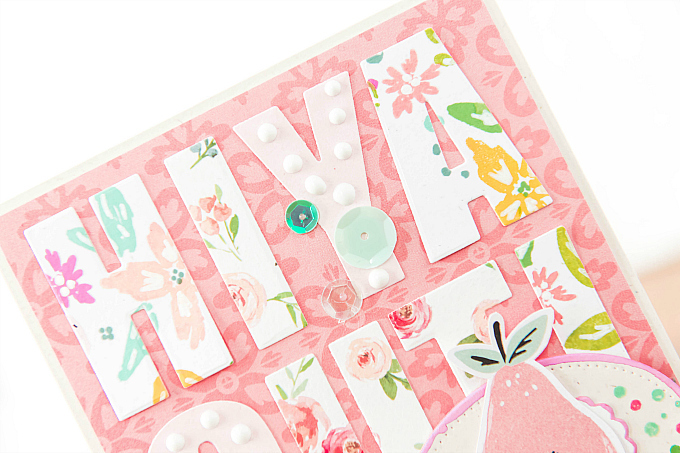 I had a few stamped floral letters left over form this card, and decided to mix them up with some floral patterned paper fonts to create this graphic card. I used Caps Bold Alphas for the font, and Concord and 9th Blooms Fill-In stamps for all the floral stamped accents. I also added soft pink cardstock, some Nuvo drops, and a dash of sequins. 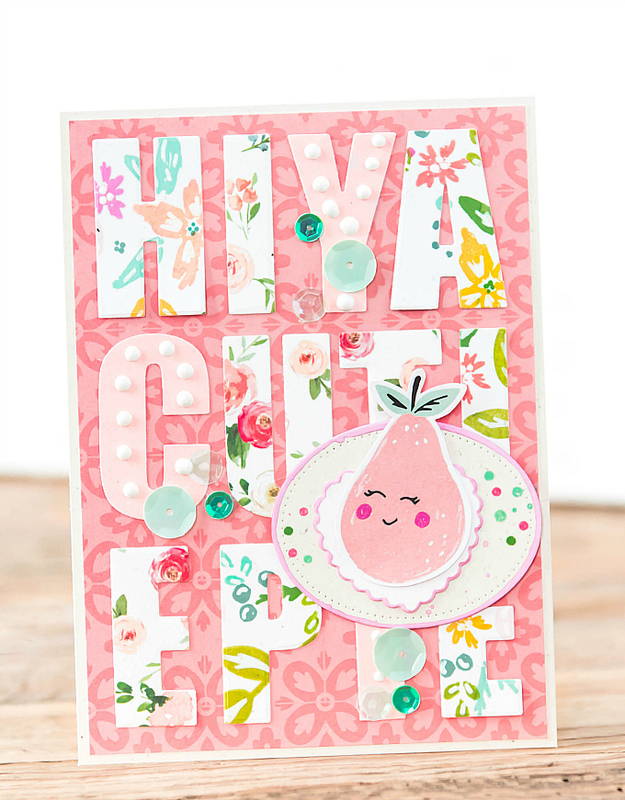 The cute little pear was fussy cut from a patterned paper. If you have any kind of letters on hand - this is a perfect technique for mixing and matching. 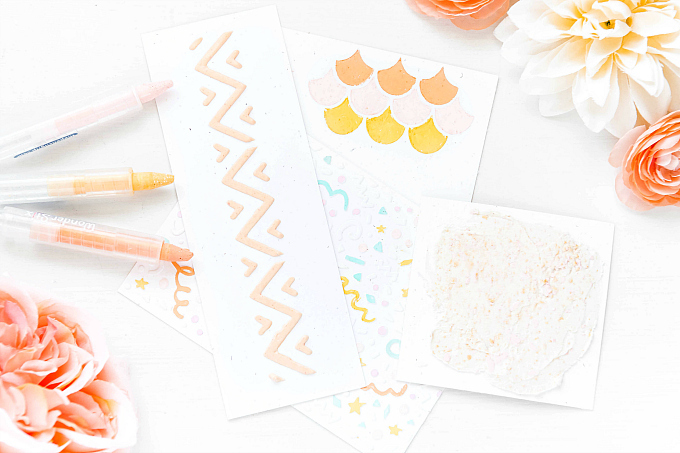 It would look so sweet with puffy stickers, glittered, or chipboard letters or just stamped fonts! Hope these two bring some smiles to your day! These just make my heart happy and bring a smile to my face! Lots of cuteness Ivana! Wow wat a pretty card!! Amazing colors.